What are Tapered Bearings and Why Use Them? 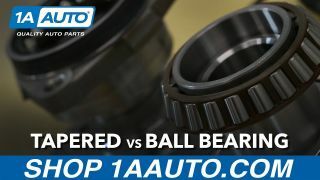 Tapered bearings are better than roller ball bearings at handling forces exerted on the bearing during cornering (known as axial load) in trucks and large cars. Roller ball bearings have spherical ball bearings between two straight rings (called races). Tapered bearings use tapered rollers shaped like flat-topped cones and two races angled from the outside to the inside of the bearing. The greater the angle, the more axial load the bearing can handle. Your model came from the factory with tapered bearings. This type of bearing handles cornering forces better for trucks and large cars. Roller ball bearings work well for smaller cars, but replacing a tapered bearing with a roller ball bearing will result in increased wear and faster failure. I recently bought a 1A Auto wheel bearing for my 07 Tahoe and was pleasantly surprised with the quality given it was the cheapest option available - over half the price of a new OEM part. The 36mm socket was a nice bonus. Already have a ton of miles on it and the sound went away completely. 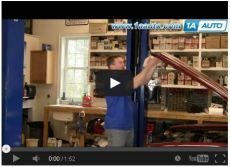 1A continues to be an excellent resource for affordable parts - thank you. Product as promised, great price, fast shipping.